Sock it to your opponent with these Ontario Basketball-branded performance socks! Rep OBA in style when you lace up your kicks for the court, or just chilling around the house. 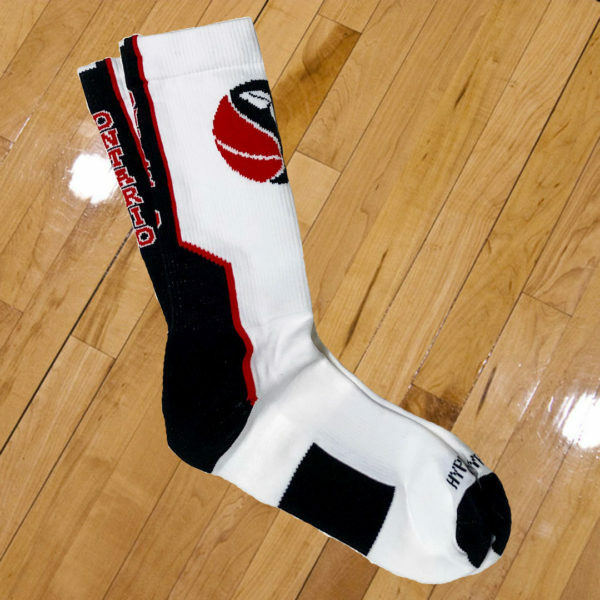 Make a great gift for the baller in your family!